A total of 584 Israeli violations were monitored by the Palestinian Committee to Support Journalists over 2016 against media freedom. 120 violations against media freedoms were also carried out by Palestinians in the West Bank and the Gaza Strip, according to the monthly report. The committee called on the international community to work seriously to put an end to press freedom violations in the Palestinian territories and to provide protection for Palestinian journalists. Most recorded Israeli violations were committed during October 2016 as it marks the first anniversary of the outbreak of Jerusalem Intifada, while the highest recorded Palestinian violations were reported during May 2016. Journalists and media outlets faced fierce and wide practices of suppression by the Israeli occupation forces (IOF) during 2016, the committee pointed out. The reported Israeli violations include arrests, killing, harassment, ill-treatment, brutal attacks, raids into printing houses and media outlet, searching and confiscating its equipment, targeting right of movement, and travel ban. The most prominent violation was the killing of the media student Iyad Sajadia, 22, in occupied Jerusalem in March 2016. The report said that 60 Palestinian journalists were injured during the reported period including four females. According to the monthly report, 138 journalists were either arrested or summoned for investigation over the past year while 87 raids were committed against journalists’ houses and media outlets. Four media outlets were also closed by the IOF during 2016 while five others were threatened to be closed under incitement pretexts. The Israeli Occupation Forces (IOF) demolished 1,023 Palestinian facilities in the West Bank and occupied Jerusalem during 2016 , a Palestinian rights group said on Wednesday. Abd Hurani Center for Studies and Documentation revealed that 4,800 Palestinian houses and 535 other facilities were demolished in the West Bank and occupied Jerusalem over 2016. 302 of those demolished homes were funded by donor countries, the center added. 657 other facilities were also notified with demolition during the reported period. The Israeli demolition orders have left approximately 1,620 Palestinians homeless. 188 Palestinian homes and 121 commercial and agricultural facilities were demolished in 2016 in occupied Jerusalem, while 227 demolition orders were also issued in the city. IOF also demolished 200 facilities in Nablus, 158 others in Tubas, 140 in al-Khalil, 86 in Jericho, 48 in Ramallah, 29 in Bethlehem, 12 in Qalqilia, 20 in Tulkarem, two facilities in Salfit, and 16 in Jenin. The Israeli Occupation Forces (IOF) arrested 9,920 Palestinians since October 2015 till December 2016, the PA authority for prisoners’ affairs revealed Wednesday. 2,884 minors aged between 11 and 18 years old and 262 females were among the reported arrests, the sources added. 6,297 of those arrests took place in the West Bank, 3,192 in occupied Jerusalem, 250 in Gaza Strip, and 181 in the Green Line. The rights activist Abdul Nasser Farwana said that all the detainees were subjected to torture and ill-treatment in Israeli jails and detention centers. Farwana pointed out that Israeli arrests have notably escalated since the outbreak of Jerusalem Intifada in October 2015. He called for shedding light on the serious implications of Israeli mass arrests on the Palestinian society. There are approximately 7,000 Palestinian prisoners in Israeli jails, including 64 women, 13 of them minor girls. There are approximately 400 children in Megiddo and Ofer prisons and 700 administrative detainees held without charge or trial. The year of 2016 witnessed a noticeable growth in the number of settlements in Occupied Jerusalem. Haaretz said, in a report on Monday, that 2016 witnessed a sharp increase in settlement schemes in Occupied Jerusalem. “Since the beginning of the current year, 1,506 housing units were ratified, in comparison with 775 units in 2014 and 395 in 2015,” the report added. 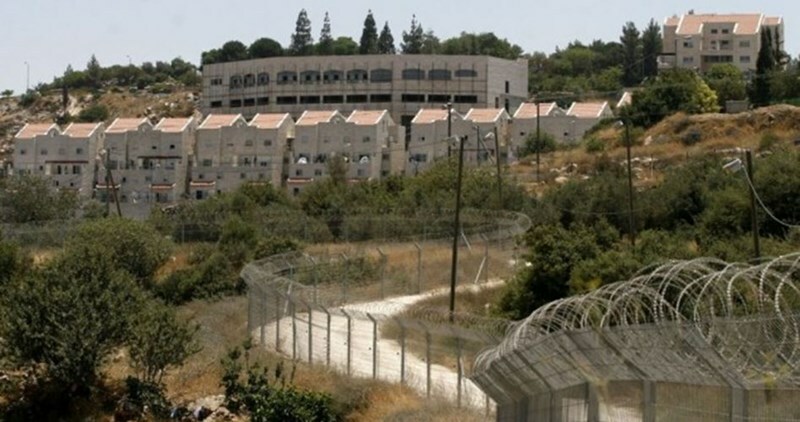 “In 2015 and 2014 there was an obvious slowdown in the number of approved schemes in Jerusalem after municipality officials accused the office of the prime minister of hindering settlement projects describing them as diplomatically sensitive,” the report revealed. In the same context, Haaretz said that the settlement schemes in Jerusalem increased after Donald Trump was elected as the coming president of the US. Israeli officials saw Trump's victory in the US presidential elections as a green light to unleash the settlement activity in the occupied Palestinian territories including Jerusalem given the fact that Trump does not oppose settlements and considers Jerusalem as the capital of Israel. According to the newspaper, the Jerusalem District Planning and Building Committee is expected to authorize the construction of 618 new housing units in Occupied Jerusalem on Wednesday. The Committee would also endorse the construction of 140 units in the settlement of Pisgat Ze'ev, 262 units in the settlement of Ramat Shlomo, and 216 units in the settlement of Ramot. “Building in Jerusalem is important and will continue so as to enable youths to live there and strengthen the capital of Israel,” according to the Israeli municipality. In its Weekly Report On Israeli Human Rights Violations in the Occupied Palestinian Territories for the week of 15 – 21 December 2016, the Palestinian Center for Human Rights (PCHR) found that Israeli forces continued systematic crimes in the Occupied Palestinian Territories. A Palestinian child was killed and another was wounded in Beit Rima village, northwest of Ramallah. A Palestinian civilian was wounded in Silwan village, south of occupied Jerusalem. 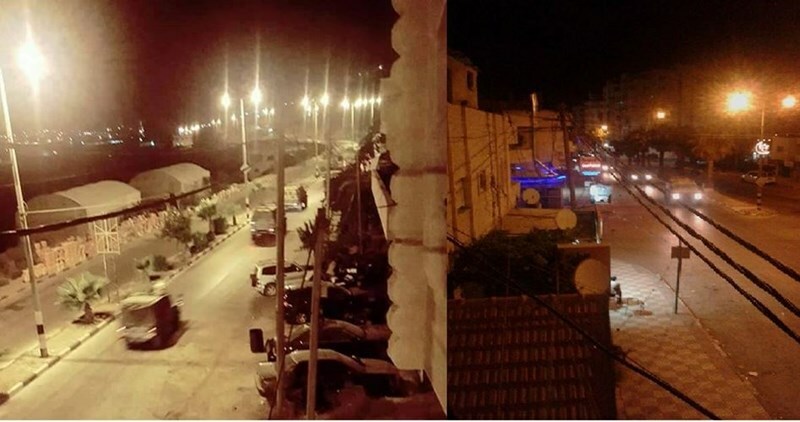 According to investigations conducted by PCHR’s fieldworkers, at approximately 22:00 on Saturday, 17 December 2016, Israeli forces accompanied with 19 military jeeps moved into Beit Rima village from the south-eastern side of the village where they patrolled in the streets. A number of young men gathered adjacent to Abu Baker Mosque in the central city. They closed the roads by stones and containers and set fire to the tires. The Israeli soldiers immediately fired live bullets and tear gas canisters at the protesters in response. In the midnight, about 25 soldiers patrolled and moved into the center of the village, so the protesters threw stones at them. At approximately 01:10 on Sunday 18 December 2016, the soldiers heavily and randomly fired live bullets at them. As a result, Ahmed Hazem Zaidan (17) sustained a live bullet wound in the left side of the chest. He was transferred via a civilian car to Martyr Yasser Arafat Hospital to receive medical treatment, but he died upon arrival. It should be noted that the abovementioned child is the son of Hazem ‘Ata Zaidan, who served a 15-year sentence in the Israeli jails and was released only3 months ago. The shooting also resulted in the injury of a 19-year-old civilian with a live bullet in the shoulder. 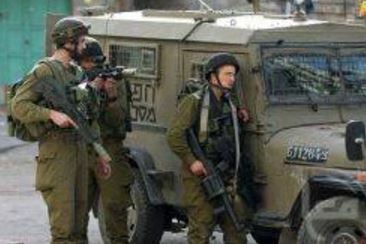 Israeli forces conducted 54 incursions into Palestinian communities in the West Bank and 9 ones in occupied Jerusalem. 78 civilians, including 28 children and 2 women, were abducted. Forty of them, including 18 children and the 2 women, were abducted in occupied Jerusalem. 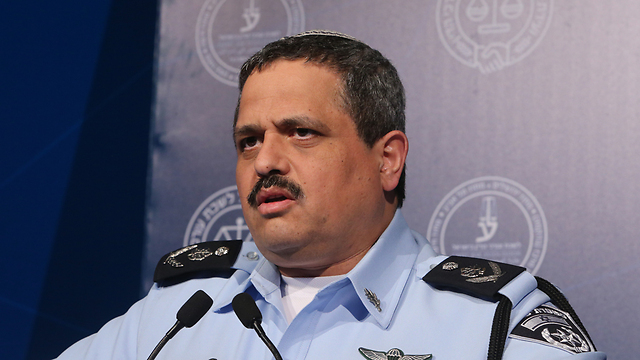 Israeli forces continued their efforts to create Jewish majority in occupied East Jerusalem. 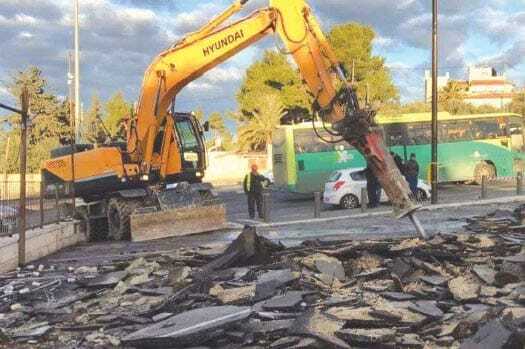 In the context of house demolitions, on 19 December 2016, Israeli municipality bulldozers demolished a car shop belonging to ‘Adnan Harhash in al-Sheikh Jarrah neighbourhood. The shop established in 2006 is comprised of a 50-square-meter hall and a 110-square-meter office in the second floor. Moreover, two cars were confiscated. Also in the West Bank, Israeli forces continued to isolate Palestinian cities and village by imposing military checkpoints around and/or between them. This created “cantons” isolated from each other that hinders the movement of civilians. For 9 consecutive years, Israel has tightened the land and naval closure to isolate the Gaza Strip from the West Bank, including occupied Jerusalem, and other countries around the world. This resulted in grave violations of the economic, social and cultural rights and a deterioration of living conditions for 2 million people. 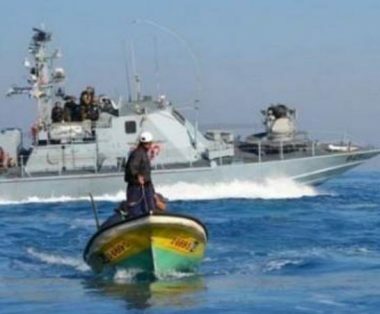 The Israeli authorities have established Karm Abu Salem (Kerem Shaloum) as the sole crossing for imports and exports in order to exercise its control over the Gaza Strip’s economy. Following the Friday prayer on Friday, 16 December 2016, dozens of Palestinian civilians and Israeli and international human rights defenders organized demonstrations in Bil’in and Ni’lin villages, west of Ramallah; al-Nabi Saleh village, northwest of the city; and Kafer Qadoum village, northeast of Qalqiliyah, protesting against the annexation wall and settlement activities. Israeli forces forcibly dispersed the protests, firing live and metal bullets, tear gas canisters and sound bombs. They also chased the protesters into olive fields and between the houses. As a result, many of the protesters suffered tear gas inhalation while others sustained bruises as Israeli soldiers beat them up. Due to the number and severity of Israeli human rights violations this week, the PCHR made several recommendations to the international community. Among these were a recommendation that the United Nations and the European Union express a clear position towards the annexation wall following the international recognition of the State of Palestine on the 1967 borders, as the annexation wall seizes large parts of the State of Palestine. In addition, PCHR calls upon the European Union to activate Article 2 of the EU-Israel Association Agreement, which provides that both sides must respect human rights as a precondition for economic cooperation between the EU states and Israel, and the EU must not ignore Israeli violations and crimes against Palestinian civilians.